So one of the things Kim Lapacek taught us at the “So You Wanna Be A Blogger” class, was to install and use Windows Live Writer to write your blogs and post them to your Blogger or WordPress site. I’m giving it a try today—we’ll see how it goes. 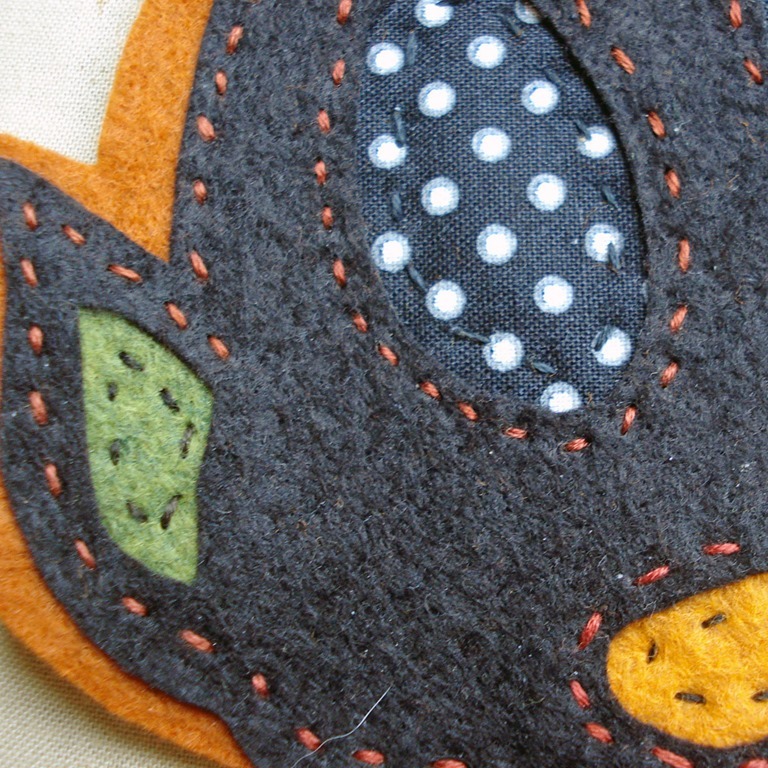 A few weeks ago I saw Michelle May on Quilting Arts TV and simply fell in love with her wool applique. 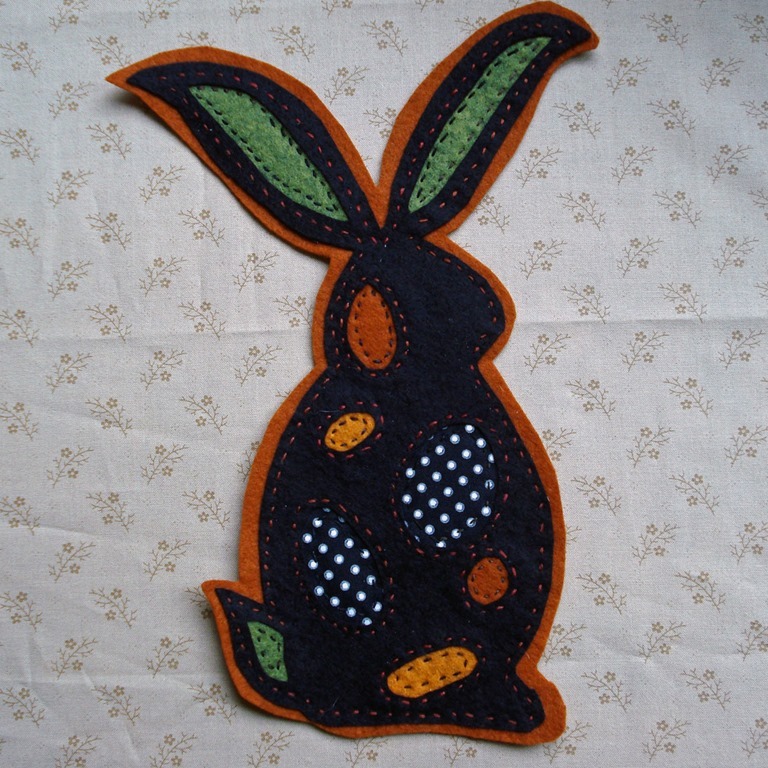 I downloaded the free pattern for “Conrad the Carrot Collector” from the Quilting Arts TV. 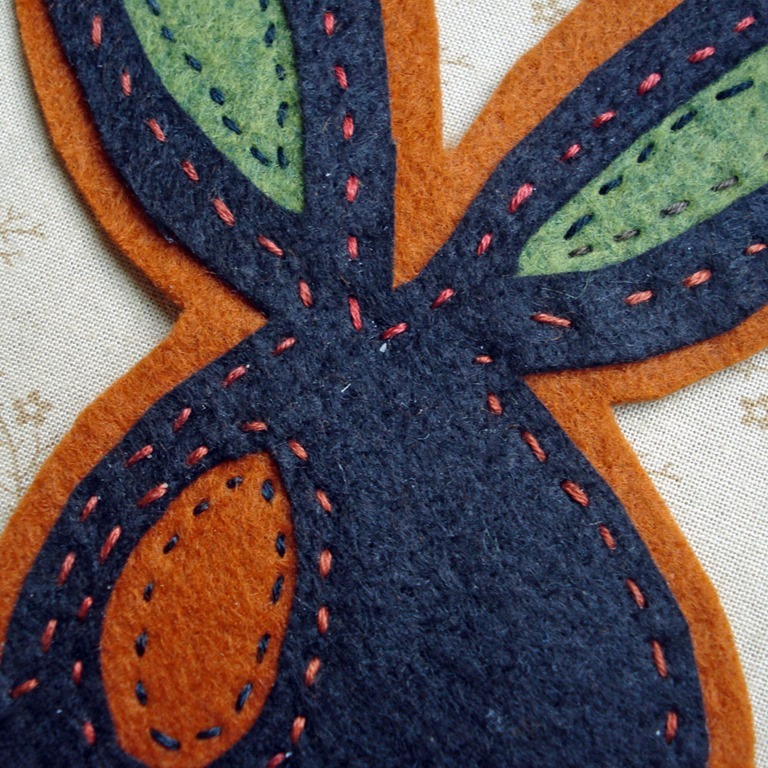 I’m new to wool applique—so I don’t have a stash. So of course I couldn’t resist going to Michelle’s “Raspberry Rabbit” website to purchase the kit! It was like Christmas when the package arrived—look at the pretty ribbon wrapping! And she even included a few little surprises…chocolate & a Raspberry Rabbit pencil. Needless to say, I worked on the chocolate immediately!! 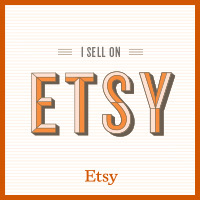 I purchased the background fabric at Mill House Quilts the other day. I think it gives it a “folksy” look. But don’t look too closely at my stitching—it’s an up and down running stitch and I need more practice—although it’s supposed to look primitive.